Roman again participate in CERSAIE, Bologna, Italy, The World Largest International Ceramic Tile exhibition. 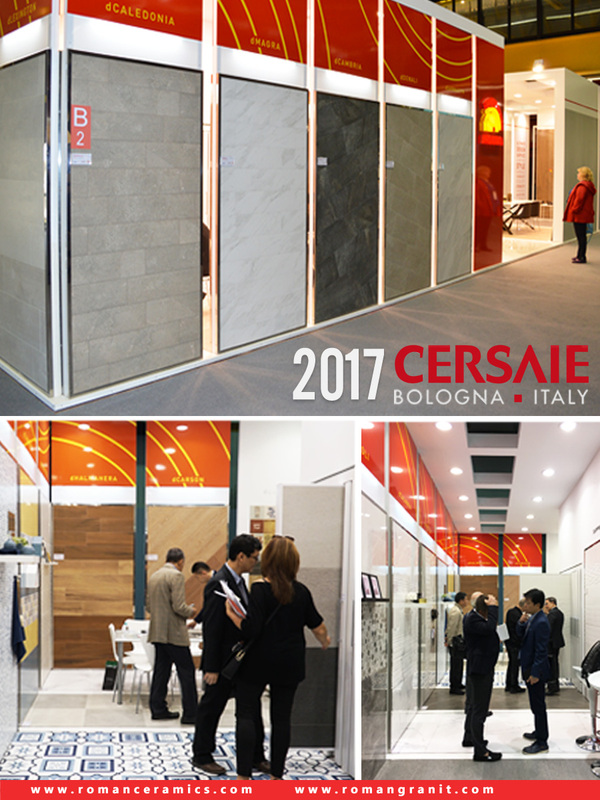 CERSAIE, held from 25th to 29th of September 2017 has become the must see ceramic tiles event, where the best and the latest were on display. These annual event were visited by traders & designers from all over the world. Roman, the one and only participant from Indonesia, showed its most recent products on its display. RomanGranit, the glazed porcelain tiles, were shown in the size of 120x60, 90X30, 60x60, 60x30 cm. The Holland, RomanGranit's vintage style collection in 60x60 was part of the booth striking looking flooring. Alongside Roman's wall tiles collection were also on display. The Rock, Roman's outdoor thick Floor Tile (in 30x30 cm) collections were also part of the show. Roman has been exported to more than 60 countries worldwide during the period of almost 30 years.